In the midst of the endless 24-hour news cycle, it can sometimes feel like all we care about is what’s new. This week on Meat + Three, we bring you stories about what’s old. We’re diving into the lost and found bin to bring you stories of the rescuers rescuing and reviving food and drink from (almost) lost to history. We begin with The Recipe Hunters, a globetrotting duo that finds and shares stories about traditional foods. Then we hear a story from “The Flavor Saver,” Dr. David Shields, who uses Facebook to track down a lost variety of corn. 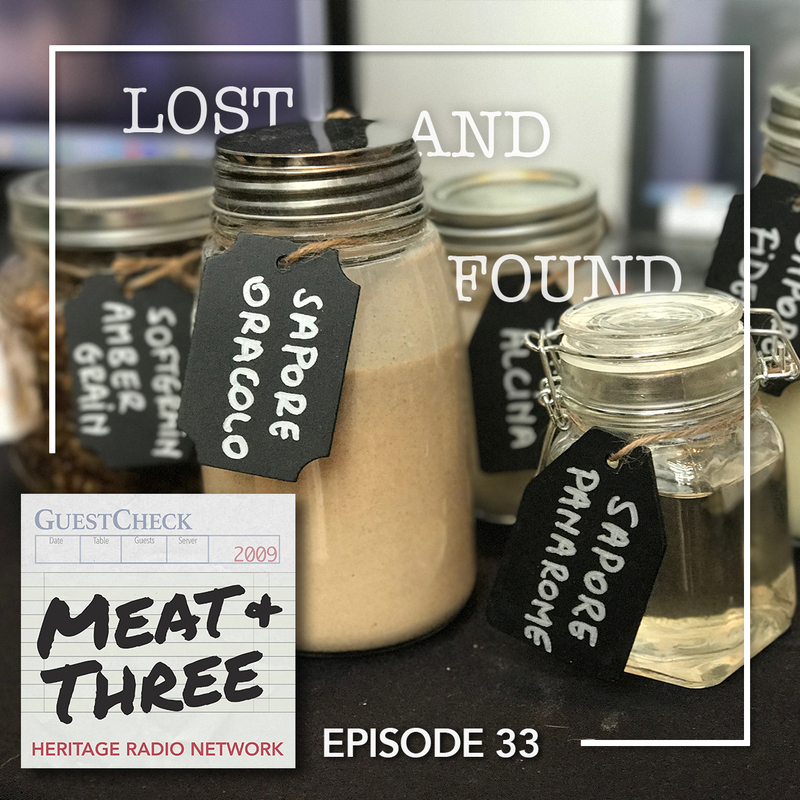 We take you to a unique library that preserves sourdough starters from more than a century ago, and we feature an interview from Beer Sessions Radio, where host Jimmy Carbone talked with a team salvaging brewing yeast from an 1886 shipwreck. Episode 34 | What's in a Name?